Order a Report Here ! One of the lesser known benefits of being a joint owner of an investment property is that the depreciation claims can be higher overall when split between two or more owners. Splitting a Tax Depreciation Schedule between joint investment property owners will optimise deductions for plant and equipment if done as we do with our Quantity Surveyor Reports. Tax Depreciation on plant and equipment allows for eligible division 40 items with a value of $1,000 or less to be added to a low value pool and depreciated at 18% in the first year and 37% thereafter. 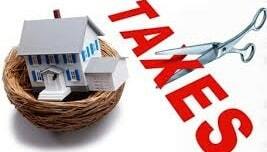 Additionally for residential properties items of $300 or less can be deducted at 100% in the first year. So the advantage of splitting 50:50 between joint owners is that plant and equipment with original values of $2,000 or less can effectively be added to the low value pool and those of $600 or less can be deducted at 100%. This is just another example of how we ensure that our property investor clients get the best possible tax deductions from our Quantity Surveyor Reports and achieve better cash flow. Contact us today at Abbcon Associates and let us help you achieve the maximum return on your investment property. The federal government changes to the depreciation of plant which were proposed in the May budget were passed by the senate on 15th November 2017. A number of property investors have contacted Abbcon Associates as experts in preparation of Tax Depreciation Schedules, to discuss how these changes may affect them. The good news for investors is that residential properties purchased ( contracts exchanged) prior to 7:30pm on 9th May 2017 are unaffected by the changes, as the prior legislation has been grandfathered. The changes detailed in the legislation Treasury Laws Amendment (housing Tax Integrity) Bill 2017, essentially deny a subsequent owner’s ability to claim deductions for previously used plant and equipment assets. (these are things are generally easily removed or mechanical fixtures and fittings) and come under division 40 of the legislation. Used in a non-taxable way such as by friends and family, however occasional use would be OK such as a property being used by family for the odd weekend. Use the residence for a purpose that is not taxable other than occasional use such as a beach house. It is important to note that depreciation deductions on assets in new residential premises can still be claimed. and of course, you can still claim all depreciation deductions on assets in commercial and industrial properties such as offices, shops and factories. The legislation does not affect depreciation deductions under Division 43 which covers the ‘bricks and mortar’ or shell, structure and fixed items of the building. This usually totals about half of all residential Tax depreciation claims. What is a Tax Depreciation Schedule? To put it simply, it is an assessment of the decline in value of every component in your rental property. This annualised decline in value can be used to offset you taxable income as if it were a cost against your property. In fact it recognises that all parts of your property deteriorates and requires replacement over time. Who can prepare a Tax Depreciation Schedule? The Depreciation Schedule is prepared by a suitably qualified Quantity Surveyor i.e. one that is registered with the Tax Practitioners Board, and is sometimes referred to by accountants as a “Quantity Surveyor Report” when advising their client property investors to obtain a Depreciation Schedule in respect of their rental property. 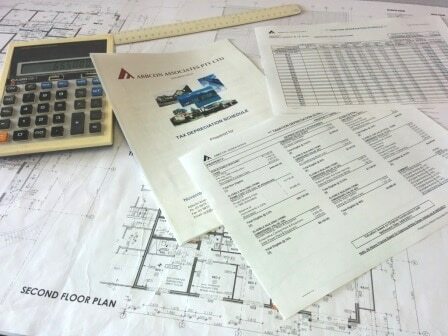 The first part of the process of obtaining a Depreciation Schedule involves the quantity surveyor visiting your investment property and undertaking a detailed survey accompanied by measurements and photographs, in order to establish the construction cost of the building, as well as placing a value on all the depreciable components from floor coverings, through to appliances, heating, cooling light fittings, window coverings and many other items. The Tax Depreciation Schedule itself is a structured document that essentially has two aspects relating to your Investment property’s allowable tax deductions. The first aspect ‘Building write-off allowance’ which essentially is the “Shell”, fabric or structure of the building and includes property surrounds such as hard pavements, fencing, services and the like, and known as “Division 43” capital allowances. These costs are claimable as a straight line deduction of 2.5% over 40 years and commence from the date of completion of the works. The second aspect is loosely named “plant and equipment” and is defined in “Division 40” of the Tax Rules, and details numerous items including appliances, hot water systems etc. These are depreciated at varying percentages based on their deemed effective life which generally varies in the range of 5 to 20 years. All of this is calculated by the quantity surveyor, and all items are described in a report that covers all items and summarised to show the total deduction available each year for your investment rental property. These deduction amounts are then included by your accountant as a deduction against your taxable income each year. The end result is a significant reduction in your taxable income and can fall in the range of $8,000 to $22,000 per year dependant on the property. Tax Depreciation Schedules-Prime Cost v Diminishing Value? What does it mean and what is the difference? To put it simply, the Prime Cost method gives you equal deductions each year for the effective life of the article. Whereas the Diminishing Value method gives higher deductions in the earlier years. The majority of investors choose the Diminishing Value method. The significantly higher deductions in the first five years or so, means less tax to pay. The initial years following the purchase of your investment rental property are usually when you are most cash poor. Having recently acquired your investment property you have to deal with all the initial associated costs surrounding the purchase, such as stamp duty etc. You may also be undertaking some initial capital improvements such as window furnishings, landscaping, painting and the like. 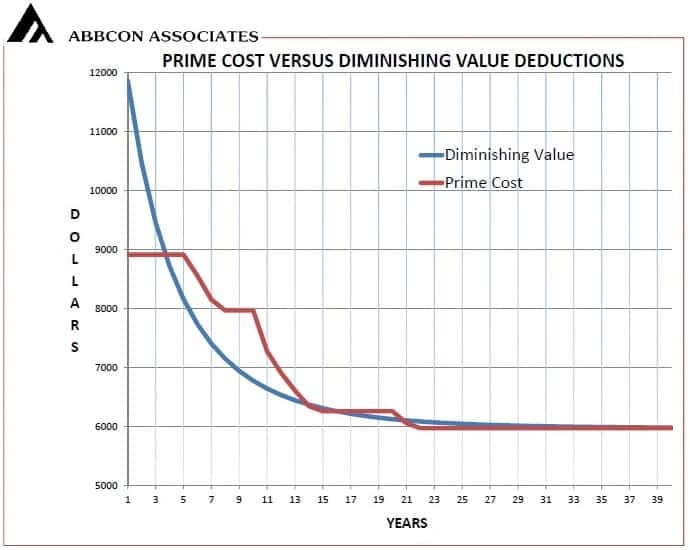 The above graph compares Prime Cost and Diminishing Value methods used in producing ATO compliant Tax Depreciation Schedules. The graph shows the deductions claimable for each, in thousands over a period of 40 years. The above graph represents typical Depreciation deduction values for a residential unit or townhouse. How Do I Choose a Particular Method? You have resided in the property for say 7 years or more, before deciding to rent it out. You have been renting your investment property for 10 years or more and have not been claiming Tax Depreciation deductions. It may suite your personal financial circumstances to spread the allowable deductions evenly over the period that the property is being leased. In the above circumstances, it may well be beneficial to choose the Prime Cost Method for your Tax Depreciation Schedules. Your accountant or tax adviser can advise you on the method that best suits your personal circumstances. 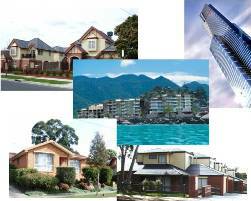 Abbcon Associates - Quantity Surveyor Melbourne is staffed only by experienced Quantity Surveyors. We take great pride in our business and conduct ourselves with the utmost professionalism. We always strive for the highest standards of excellence in all areas, and pride ourselves in providing the highest level of service to our customers. At Abbcon, we offer Specialised Tax Depreciation services for Accountants, Property Developers, and Property Professionals. We can show you claiming depreciation can increase your investor clients' cash flow and improve their "bottom line".